It's been over a year since the music world lost revered artist Prince but the influence of The Purple One is still going strong in the arts. In fact, The Artist now has an entirely new shade of purple that's been created in his honor. Check out the new Pantone Prince color below! As fans are undoubtedly aware, Prince—a noted style icon—was almost always represented by his favorite color, purple. (“Purple Rain,” anyone?) Now, as reported by Consequence Of Sound, the Pantone Color Institute has unveiled a Prince-specific hue of purple that's dedicated to the late musician. The new purple color, dubbed “Love Symbol #2” (after Prince's infamous, unpronounceable 1993-2000 “Love Symbol” artist designation), is described by Laurie Pressman, VP of the Pantone Color Institute, as a uniform way of applying Prince's symbolic color across artistic formats. 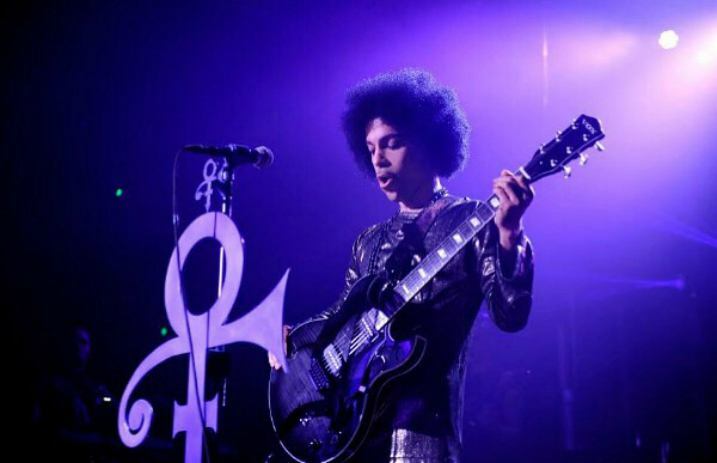 “Long associated with the purple family, 'Love Symbol #2' enables Prince's unique purple shade to be consistently replicated and maintain the same iconic status as the man himself,” adds Pressman of the new hue. Well, color us purple (or… uh… “Computer Blue”).